Villaggio is located on Al Waab Street in the west end of the city and within Aspire Zone, and is home to an average of 50,000 visitors daily, and a footfall over 1.5 million people for every month of the year. This record is unrivaled anywhere in the region and is a testimony to the quality of the Villaggio experience. 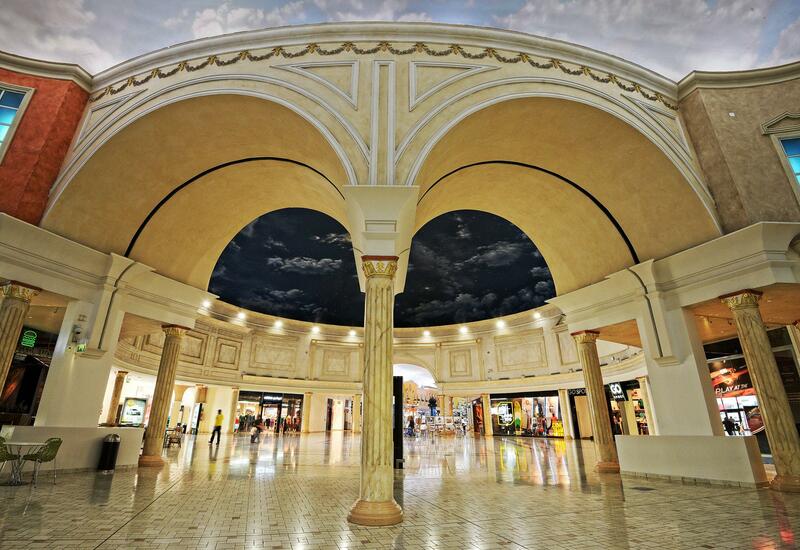 Housed on a total plot size of 360,000 sqm that hosts a dedicated mall area of 183,000 sqm, and, providing 90,000 sqm of world class shopping, 15,000 sqm of luxury brands and 3,300 car parking slots, Villaggio is equipped to comfortably meet the demands of every visitor. In addition, Villaggio is the most sought after destination in Qatar for top of the line luxury brands including Louis Vuitton, Christian Dior, Gucci, Valentino and Dolce and Gabbana. It’s Venetian styled interiors combine with an astonishing range of shopping, dining and entertainment venues to make it a unique and unforgettable attraction in Qatar; one that no visitor can afford to miss.